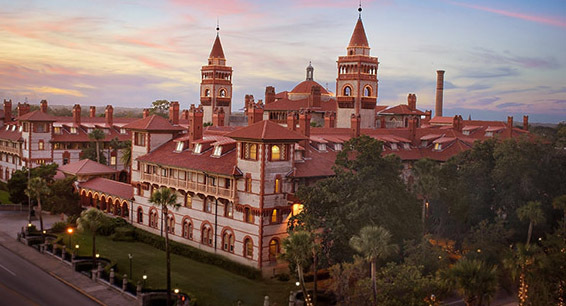 SAINT AUGUSTINE — Flagler College has once again been ranked second in U.S. News & World Report’s 2018 Best Colleges guide for the Best Regional Colleges in the South, behind High Point University in North Carolina. This year, the college was also ranked sixth on the Best Value list in the South regional category for offering high-quality programs at an affordable cost. Other schools in the top 10 Best Regional Colleges in the South category include University of the Ozarks, Catawba College, University of Mobile, University of South Carolina-Aiken, Alice Lloyd College, Barton College, Belmont Abbey College, Blue Mountain College, Coker College and Kentucky Wesleyan College. U.S. News defines regional colleges as those focusing on undergraduate education, but granting fewer than half their degrees in liberal arts disciplines. Academic quality is measured by gathering data in a number of categories: assessment by administrators at peer institutions, how well schools perform at retaining and graduating students, the quality of and investment in the faculty, student selectivity, financial resources and the state of alumni giving. A rank is arrived after calculating weighted scores for each school. There were 57 colleges and universities included in the first tier of the South rankings. In August, the Flagler College was also named one of the nation’s best institutions for undergraduate education in The Princeton Review’s “The Best 381 Colleges” guide. Only about 15 percent of America’s 2,500 four-year colleges are included, and Flagler has made it into the book since 2003.